School Of Internet Marketing offers Web Design Courses in Pune in more than 2+ branches with expert trainers. Here are the key features. Our Career Production Team will support you in following your career plan. In addition to providing advice, we also help you prepare for prospective jobs by screening your resume and conducting mock interviews. We are frequently contacted by various corporations regarding the availability and technical expertise of graduates from Internet Academy. After you complete your course, we will provide you with an opportunity to meet the concerned representatives of the companies. The website designing course has been designed keeping in mind the online needs of the growing website development industry in the world. The course offers a unique blend of front-end website designing and the basics of open source language like PHP and database MYSQL. The course also encompasses the concepts of SEO and online Adserver integration. The course not only offers a practical exposure but takes you one step ahead wherein with the completion of the course you would have a website of your own ( we will provide you with a domain of your choice and web hosting space to simultaneously implement your learning’s) which will be your showcase to your potential employers or business partners. The course empowers the student to join the IT industry and have a successful and promising career in website design and development. Students Get free Domain and Hosting. Students Get the Experience on Their Own WordPress Site. Understanding Web Servers & Database. Designing Web Pages & Content. Mock Interviews and Calls Till You Get Placed. 25+ Advance Tools to Monitor Your Search Presence. Lowest Fees For Website Designing Course 30000 only. School Of Internet Marketing is India's 1st Practical Website designing and Development Training Institute In Pune. Our Moto is #SayNoToTheory we have been greatly centered and is been establishing each day to the new standards in website designing from 4 years. We are an awesome institute on providing practical website designing training to our students. Our goal is to grow every day with new ideas in this area by means of exploring to the core of web development. It is going to be our effort and we make sure that we provide the best coaching in order that it helps an individual as well our Institute. What Do You learn In Web Design Course? As a leading and best Web design training institute we have designed our Web Designing Course & Web Development Course content & syllabus based on Student requirement, which will help you to achieve everyone’s career goal. Our Web Designing Certification Course is designed to get the placements in Good MNC Company in Pune, Bangalore, Mumbai, Delhi as soon as once you completed the “Web Designing Training in pune” at School of Internet Marketing. Our trainers are 8+ years of working professionals provide you hands-on Real-Time multiple Web Designing Projects knowledge. We assure you to provide the actual knowledge of Web Designing Courses in Pune that makes your career bright. By utilizing the platform of Web Designing & Development Course Learn how to create stunning visual media and lay the establishment for your very own website and how to use the building blocks of the Web to create beautiful interactive websites. Understanding website structure- Domain, Sub Domains, Servers, Hosting, CMS, WordPress website creation, Web Pages Creation. HTML Introduction HTML Editors HTML Basic HTML Elements HTML Attributes HTML Headings HTML Paragraphs HTML Formatting HTML Links. HTML CSS HTML Head HTML Images HTML Tables HTML Lists HTML Blocks HTML Layout HTML Forms HTML Iframes. Introduction & main points revision of CSS -Grid Structure & Typography -Tables and forms -Images, helper classes. Glyphicons and dropdowns, Button groups and button dropdowns -Navigation, pagination -Labels, Jumbotron, thumbnails, Alerts, progress bars, Listing, Panels -Bootstrap Plugins. CSS3 Introduction CSS3 Borders CSS3 Backgrounds CSS3 Gradients. CSS3 Text Effects CSS3 Fonts CSS3 2D Transforms CSS3 3D Transforms. CSS3 Transitions CSS3 Animations CSS3 Multiple Columns. Domain Name registration – Web Hosting – Changing of Name Servers for Domains – Add an Add-on or sub Domain – WordPress installation Using cPanel / FTP – Uploading of Files Via Filezilla – Add google analytics to WordPress – Sitemap creation – Adding and Managing Users in WordPress – Categories creation and deletion. 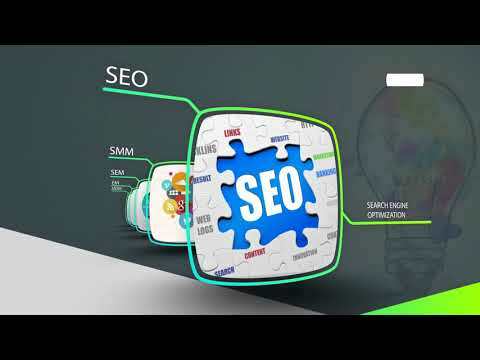 Note: For in-depth understanding of search engine optimization, you can join Seo Training course. 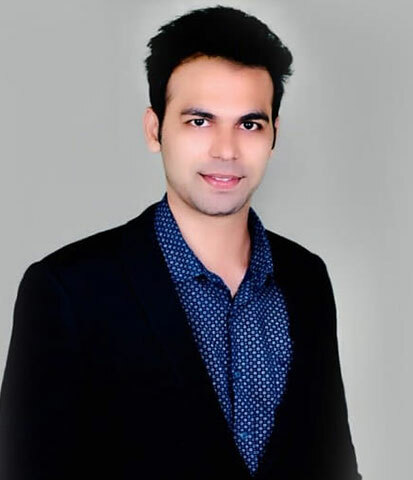 A Digital Marketer with 7+ years of experience in Internet Marketing, Display Advertising, Media Planning, SEO, Social Media Marketing and Public Relation. 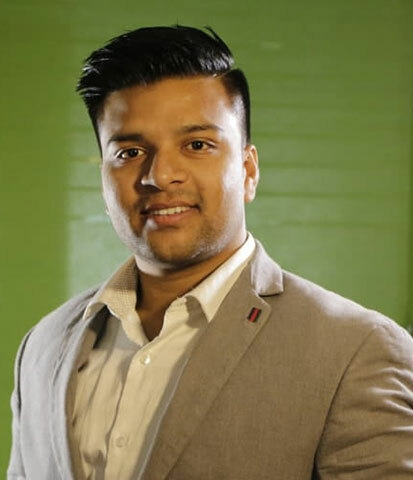 He has been a digital marketing consultant for many advertising agencies & Political Campaign to develop & execute their digital strategies from 8+ years, He has a great command over understanding the root cause of the business problems. School of Internet Marketing has the best teaching faculty in website design course in Pune. They have many facilities what we can learn for this institute. I'm very blessed to have the best institute this year. The atmosphere in this institute is very friendly. I suggest people join this institute. In School of Internet Marketing, the way of teaching is different so that students could understand it well. The faculties are creative and something creative really encouraged me to explore the creative field. I am happy that I took admission in SIM, who help me to create a bright future. I had joined this institute for web designing and it was a great experience for me it has good staff and trainer. From my side, this is the best training institute for web designing in Pune. In School of Internet Marketing teaching is best. We can learn everything about designing fields. The syllabus is well planned which helps me to understand it easily. The way of delivery of lecture is really great. I enrolled here for my certification in website designing course and it turned out to be very beneficial for me. It was a great experience for me to learn from the teachers, they are generous and helped me a lot in my project. Being a part of SIM, makes me feel very lucky each day. You get to do so many things in website design syllabus, there are amazing teachers to guide us. It has really helped me to imagine, dram and achieve more. The experience of learning website designing in SIM was great. It was a great journey. The faculty is always there for students help. Along with studies various activities are arranged for students. I have enjoyed being a part of SIM family. School of Internet Marketing gave me an opportunity to showcase my inner potential and enhance my creative skills through website design courses in Pune. SIM provides professional teaching in developing the skills in the student. SIM essentially helped me to boost my confidence level and polish my skills in designing. Fantastic approach with hands-on learning. This is best website design institute in Pune that believes in teaching the fundamentals and strengthening our core. I have completed my website design course in SIM. The best thing in life is to turn one's passion into a profession. The training received is the perfect balance between artistic & technical knowledge with the well-designed course. One of the Best website designing institutes in Pune. I personally experienced the facilities and healthy environment also the best part is you will understand the importance of website designing because they have skilled and experienced professionals. I have attended the demo at SIM and found it was very great. I saw here are so nice staff and efforts for the career development of students. Affordable fees and with best Syllabus. I will suggest everyone that if you are planning to learn Web Designing then SIM is the right choice for you. Before I came here I had no clue which course I wanted to join but after met Mr. Nitesh Sir, he suggested me to join website design classes. Actually, I feel interested in the course; this institute is so motivating and supportive in every activity. Have an awesome experience here! Good learning experience and Faculty is excellent. Even though I am a fresher the faculty is making me understood all the concepts very in-depth. Very good institute. Very good institute for website designing classes in Pimpri Chinchwad. SIM is the Best way to learn about website designing, not only learn but also getting a good experience of live project, work and exciting task for developing knowledge. And it also the best way to get a professional job in any company. SIM is an amazing website design training center. I am taking the website designing courses in Pune. A lot of practical practice is done and if a lecture is missed the recovery can be done in other parallel lectures as well. SIM provides the right opportunities to learn & project you in the professional world. SIM is the best website design institute which helps us in recognizing the strength in designing to reach the passion in this field.